I have some really BIG news here at BusyBeeBlogger.com. Not only am I sneaking up on my 5th year aniversary, I am also co-hosting an event here in SoCal for fellow bloggers. LOTS of work. But well worth it. Today,I spent a good afternoon with my co-hostm Maegan from Life, Beyond The Bandaids, planning our Pretty As A Pin Up Party at Fifty Barrels Winery Group. We were trying on dresses from Pinup Girl Clothing, and sponsors samples were everywhere! Our newest sample to arrive are the lotions and creams from “The Body Bartender- For The Pin Up Girl In You”. We have Peek-a-Booty™ Tush Tightener (a cellulite-fighting body cream that instantly treats, hydrates, and firms the skin with natural extracts and Lipocare™ complex), Peep Show™ (an all-over body firming lotion that instantly nourishes and firms the skin with natural extracts and caffeine), and Tattoo Protection (this high-end SPF 30 combines the effectiveness of a sunblock without that heavy sunblock smell or greasy feel). I will be testing the Peek-a-booty and Peep Show! So I will let you know how well they work. I can already tell you they SMELL and FEEL fantastic!!! (Maegan will be reviewing the Tattoo Protection/Sunscreen… on Life, Beyond The Bandaids. Cannot WAIT to share these with our attendees! 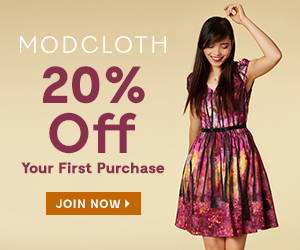 Party Dresses And A Fabulous Contest On Modcloth!